With Valentine’s Day fast approaching, it’s time to start planning. But if you’re looking for something a little different to the typical dinner and a movie, we’ve rounded up some unique events and activities you’re bound to want to book. Here are 6 alternative Valentine’s Day ideas. If your other half is an adrenaline junkie, this is one new addition to the city you won’t want to miss. 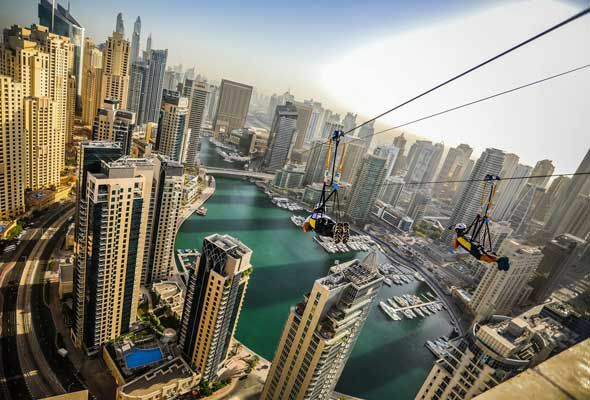 You can now book your spot on XLine Dubai Marina, the epic 1km zipline stretching from the top of JBR’s Amwaj towers to the terrace of Dubai Marina Mall. The new zipline features an incline of 16° and reaches an average speed of 80 kilometres per hour – so it’s definitely one for speed fiends. Oh, and it’s a double line, which means you can even fly with your date. Wheeeeee! XLine, Dubai Marina, 10am to 6pm Sun to Thurs, 10am to 7pm Fri and Sat, Dhs650 single, Dhs1200 couple. Tickets from Platinumlist.net. More info on website. Feel like you’ve tackled every escape room in town? Here’s a brand new challenge for you. 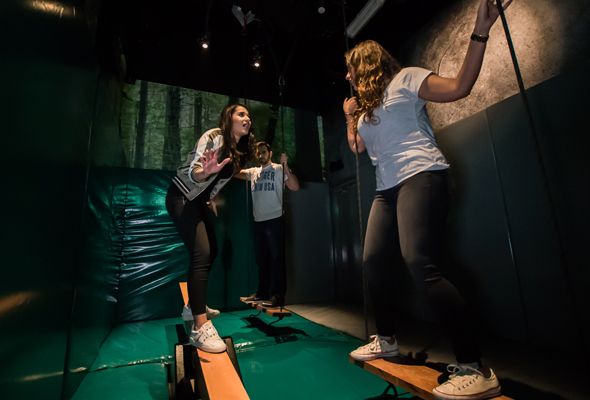 Jumble is described as the “world’s first indoor urban maze”, promising all sorts of twists, turns and mind-bending challenges. Teams of three to six people must work together to progress through a series of rooms, each one containing a physical challenge or problem to solve. So buddy up with another couple and check it out. Jumble, Al Barsha 1, Sheikh Zayed Rd, Sun to Wed 2pm to 10pm, Thurs to Sat 2pm to midnight. Dhs149 per person two-hour pass, Dhs199 per person four-hour pass. More info on website. 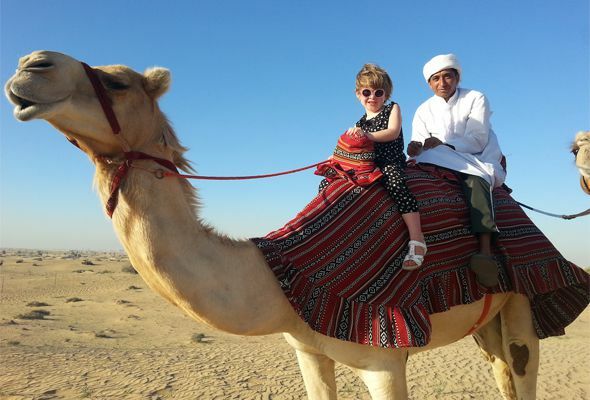 Whether you’ve got guests in town, or you’re just looking for a different way to see the sunset, the JA Al Sahra Desert resort is a great spot for a desert adventure. Just 45 minutes from the Marina, there’s a range of activities to enjoy – with Valentine’s Day coming up, we recommend trying the sunset camel ride with champagne experience. It’s a two-hour trip that takes you into the Arabian desert on camelback, where you can enjoy a glass of bubbly as the sun goes down. 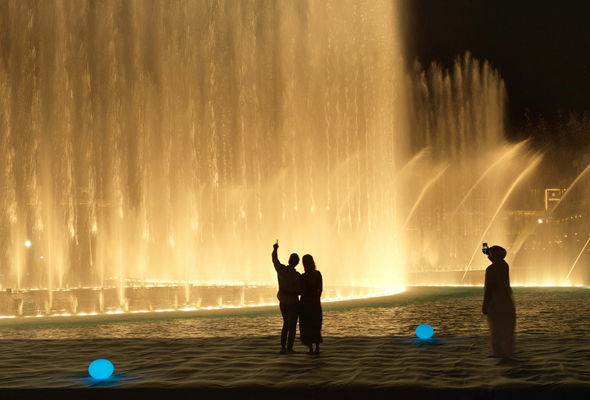 It doesn’t matter how many times we see them – we still love the Dubai Fountain shows (and what romantic isn’t impressed by the Enrique Iglesias ‘Hero’ show). Now you can enjoy the best possible view of the action, thanks to the opening of the Dubai Fountain Boardwalk. The 272-metre floating viewing platform lets you watch the show from just nine metres away (and considering the water show reaches heights of 152 metres, that’s mighty close). The Dubai Fountain Boardwalk, next to the Dubai Mall and Burj Khalifa, 5pm to 11pm daily. Dhs20 per person. More info on website. 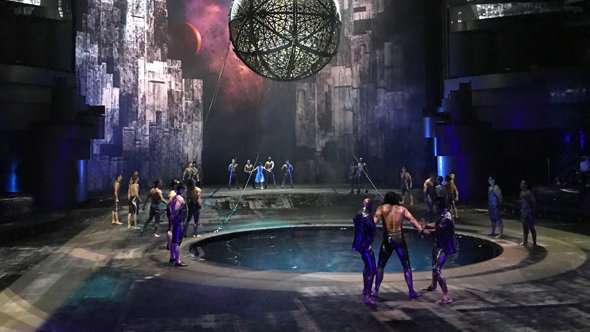 Ok, so this one may include dinner, but it also comes with a ticket to one of Dubai’s top shows – La Perle. Teaming up with the recently opened Babiole, which has arguably one of the best terraces in the city, uber and jewellery brand Pandora to ensure you’ve got that date-night and gift combo sorted. Guests can choose either the gold or luxurious VIP Pandora Valentine package. The Gold offering includes two Gold tickets to La Perle, complimentary Uber ride to and from the theatre, gift and flower from Pandora and dinner for two at Babiole, inclusive of a bottle of grape, costing Dhs1,850 per couple. The VIP combination includes two VIP tickets to La Perle, access to the VIP lounge, a complimentary Uber ride to and from the theatre, a gift and flower from Pandora and dinner for two at Babiole, inclusive of a bottle of Veuve Clicquot bubbly for Dhs3,600 per couple. 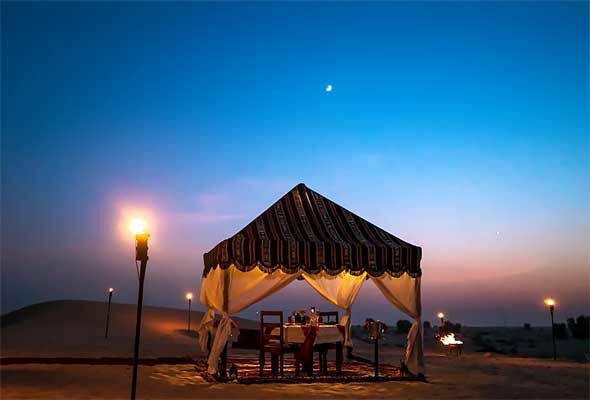 Luxury desert resort Bab Al Shams is offering three desert dining experiences especially for Valentine’s. Each of the ‘sunset dunes’ experiences offers a five-course menu, presented by a dedicated butler in a private tent with stunning views of the golden desert of Dubai. Expect a decorated tent complete with Valentine’s Day rose petals, bamboo torches, bonfire and relaxation majlis.